Patterns play an important role in branding and identity design. They can help your brand stand out – or overwhelm your logo. Here are a few tips. Patterns are part of the language of communications. They create texture, interest and balance. And because our brains are naturally drawn to patterns – seeking out order in a chaotic world – they also increase brand recognition. Today, we’re in the middle of a pattern renaissance. Slick, stark modernist designs are now so common that brands are using patterns to add personality, create warmth and evoke emotions. They’re also looking for more versatility in their brand expressions. Patterns allow this: they can be used anywhere from digital platforms to packaging design, advertising and within built environments. 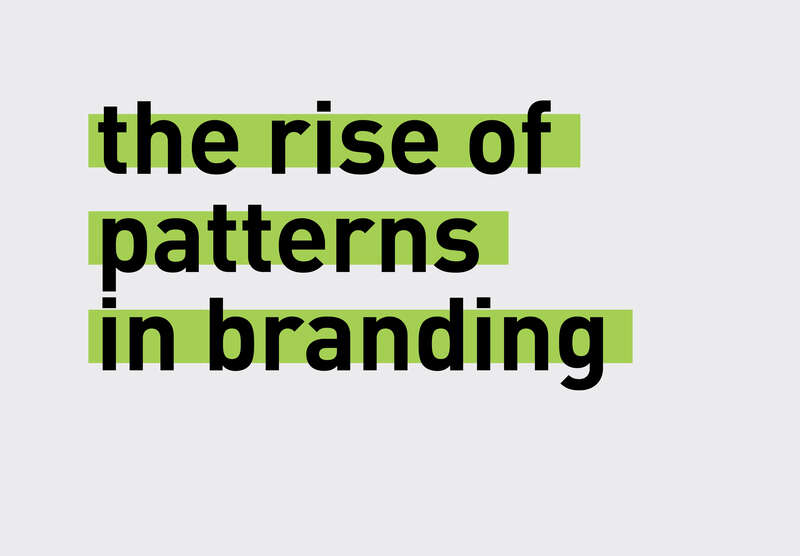 We can also thank Instagram for the rise of patterns in branding. The world is being styled to be social media-friendly, and brands are leading the way. Patterns have been used as a branding device for decades, but today’s brands are experimenting more bravely with shapes and colours. Here at BrandCulture, we love using patterns to create brands that are as memorable as they are versatile. A few years ago, Telstra invited BrandCulture to celebrate the company’s brand principles inside its Sydney headquarters. A colour-shifting patterned film brings Telstra’s vital brand drivers to life: colour, energy and angularity. Our designs echo the rise of “friendlier geometrics”, which are a big trend in 2019. Geometric patterns use grids, straight lines and abstract, angular shapes. But they can come across as cold or intimidating. So, today’s geometric patterns are being combined with warm, vivid colours to make them more approachable. 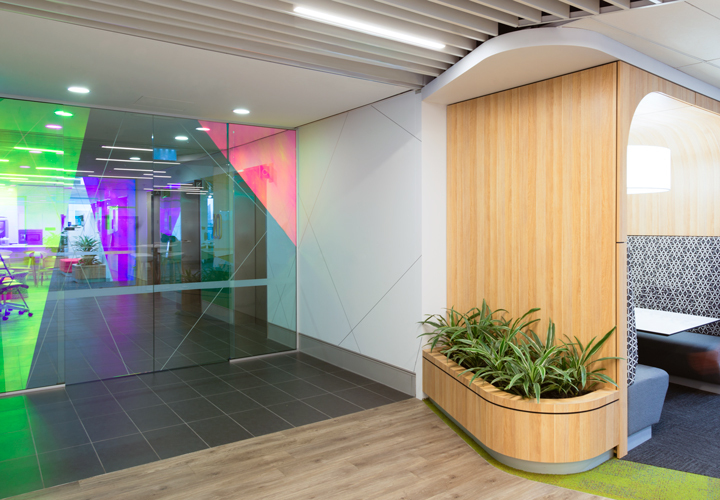 Friendlier geometrics are the reason Telstra’s workplace is as cutting-edge and modern as it is warm and bright, in line with Telstra’s vision of creating a workplace that’s brilliant and connected. 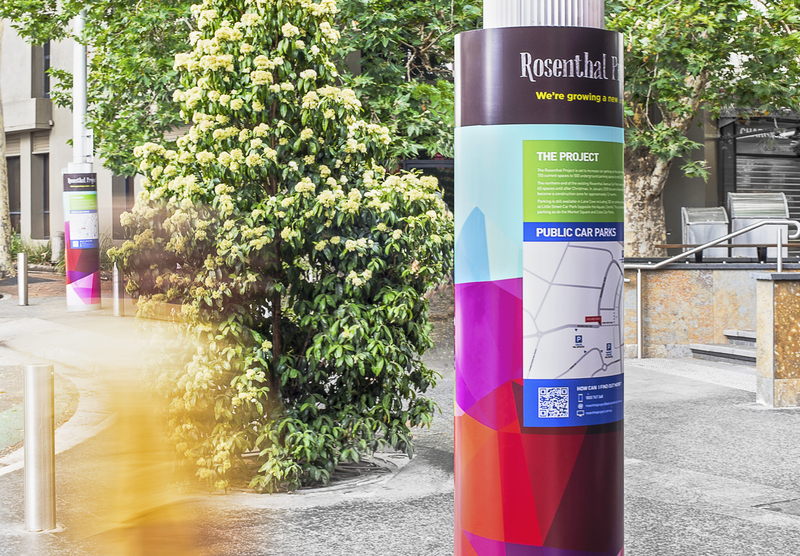 When Lane Cove Council asked BrandCulture to design a wayfinding strategy for the Rosenthal Project, we created a brightly-patterned signage system. We wanted to support the visibility of local businesses while Rosenthal Avenue Car Park is being redeveloped. So, signs are adorned with vibrant patterns. 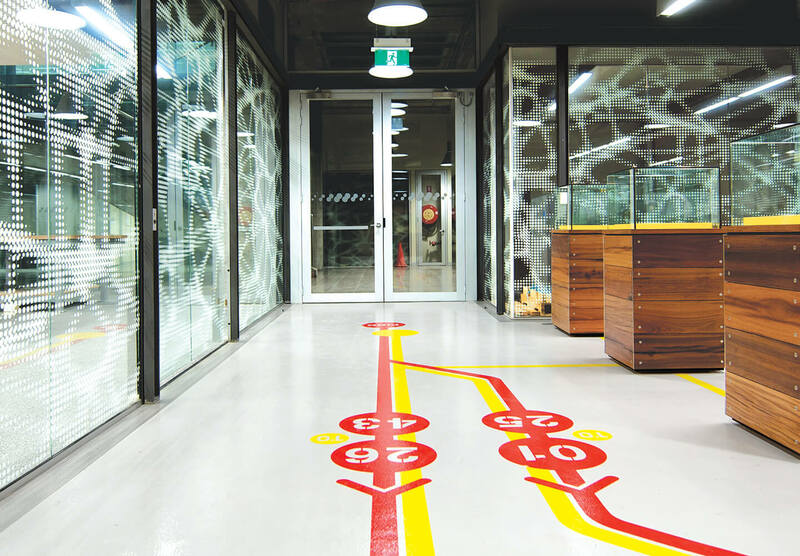 This brightly-patterned wayfinding system also provides a playful platform for project updates, while providing bold, unmissable directions. We’re now working with Lane Cove Council to create a brand for Rosenthal Project’s new community space. The new brand will also incorporate patterns as part of its brand architecture – watch this space! 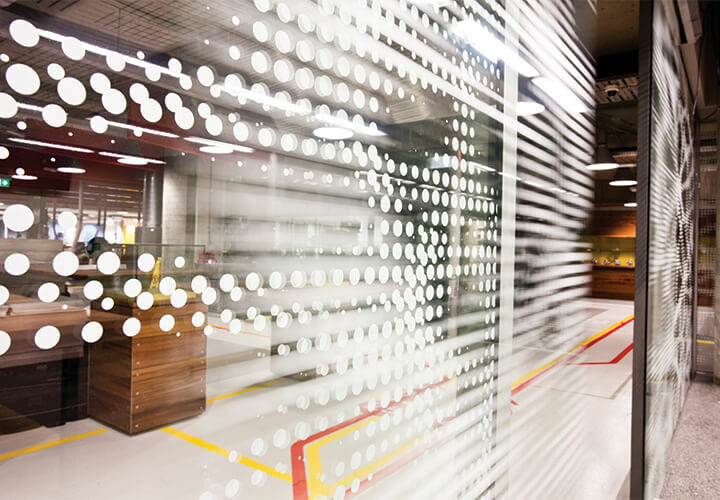 Patterns can be highly functional: we often use them as a screening device to provide privacy within built environments. Our experiential graphic designs at the UTS Fabrication Workshop are a good example. 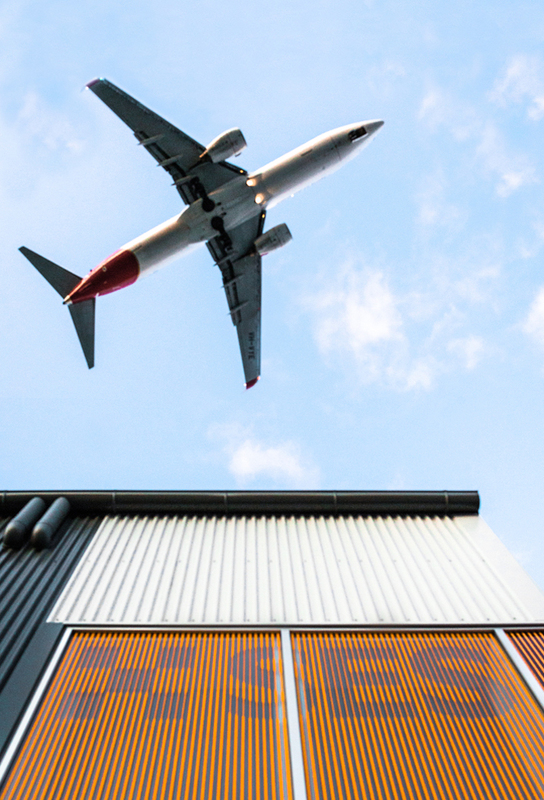 They can also create a sense of arrival or address, as with our bold orange façade stripes adorning the walls of the State Emergency Services’ Sydenham headquarters. The first rule of using patterns in branding is legibility. If your pattern is busy and uses lots of different colours, avoid overlaying text onto it. If you do want to layer text over your pattern, choose a more understated, uncluttered design – try not to overwhelm the viewer with visual clutter. It’s a good idea to create your pattern in several colour variations, based on your brand’s colour palette. Don’t be afraid of combining vivid colour combinations with soft colour transitions and gradients – another trend we’re seeing lots of this year. Try playing with scale, mixing more delicate elements from your brand identity with larger, more dramatic patterns to add texture to your brand. Typically, corporate brands lean towards more structured, geometric, organised compositions. Lifestyle and leisure brands opt for more playful, random patterns; while eco-friendly brands often choose organic shapes inspired by nature. The options are limitless, but make sure you choose patterns that echo your company’s vision and personality.